Offers flexible shaft machines and dental handpieces as well as carbide burs, diamond abrasives, and silicone polishers. 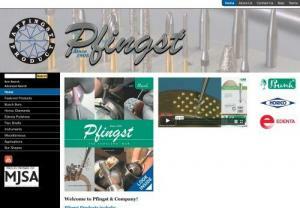 Pfingst stocks an extensive selection of Busch, Edenta, & Horico products. We are new for 2017 and here to offer Great Deals at Great prices from BIG brands with Fast Delivery Service Nation Wide. From Milwaukee Cordless tools to nail guns, generators & more, Hornibrooks in Geelong has what you need for every job. Browse our Cheap Tools Online today. We have been in line of manufacturing mini drill, mini craft drill for many years. And selling, exporting power tools mini drill from China with best quality and price. JiaShiLi supply and manufacture glue gun, aluminum alloy glue gun, mini glue gun sticks power tools glue gun professionally. We have rich experience in manufacturing and supplying China professional power tools, industrial tools, including: quality glue gun, hot air gun, soldering iron, plastic welder, soldering station, mini drill, etc. Promise you good reputation and high quality service. Eastman Shop is a Venture of Eastman Group of Companies, Now; you can buy Eastman Hand tools online with same quality at best price with doorstep delivery option. Indepo is India\'s largest fully managed marketplace that connects buyers and sellers online and offers a trusted and safe online shopping experience. Indepo is among the fastest growing E-Commerce destinations in India. We sell all types of Electrical Power Tools in India and abroad. We are dealers and exporters of Electrical Power Tools and accessories in India. Quality Electrical Power Tools are available with us. Whatever you need, we are sure to have it. We have the perfect tool for many different use case scenarios. Buy Clarke Tools on line today! Spindle moulders are a valuable device to have for any woodworking company and is sold by Calderbrook Woodworking Machinery Ltd.
Tool supplier is one of the leading online tool store in india. Buy power tools and hand tools at best price in india. Master Power Pneumatic Drills utilize machined alloy parts and are assembled by hand for quality control. They offer excellent ergonomics in a powerful and compact package. Power Tools Dealers & Power Tool Distributors in Mumbai: Nakoda Machine is best Power Tools Suppliers for all branded machines like KT, bosch, Hitachi, DeWalt and Black & Decker. Ingersoll Rand "ZA" series air balancers are the most common, and are designed for high speed, precision handling of variable weight loads. Ideal for pick and place operations as well as precision assembly, the balancers up / down movement is controlled by a pendant featuring two light touch levers. Ingersoll Rand offers a full line of transducerized and standard shutoff and non-shutoff pulse tools in pistol, angle, and in-line configurations to meet your needs. These lightweight reactionless tools offer excellent power, speed, accuracy, and ergonomics. International Air Tool provides variety of industrial grade Wire rope pullers devices designed for your pulling and lifting needs. Reelcraft Industries manufactures large frame hose reels and cable reels for many different applications. These engineered hose are industrial grade reels for military use. Ingersoll Rand provides a variety of push-pull style trolleys available in either hook or ridgid mount styles. Experience stall-free & ice-free operation via best-in-class Ingersoll Rand ARO Diaphragm Pumps equipped with patented unbalanced air valve design and Quick-Dump" exhaust valves. This most reliable pump is available at International Air Tool at best market price.